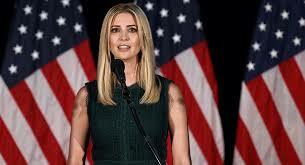 Touring the nation in support of her father's National Council for the American Worker executive order, Ivanka Trump stopped in Godfrey yesterday at Lewis and Clark Community College. The visit was planned so that she could see first-hand some of the programs geared toward teaching skills that some say are in short supply around the nation. Ms. Trump is a senior adviser to the president, and spent time observing the welding program before sitting down for a round-table discussion with various community leaders. She says there is a "skills mismatch" in the United States right now, with more jobs than there are qualified candidates to fill them. There are now more than 6.1 million unfilled jobs in the United States, according to information released by The White House. Estimates predict 73 million Americans, approximately one-third of the current civilian labor force, could be displaced by 2030 thanks to a move toward more automation.